Copyright, 1897, by H. W. Petrie. Words by Harry S. Miller. 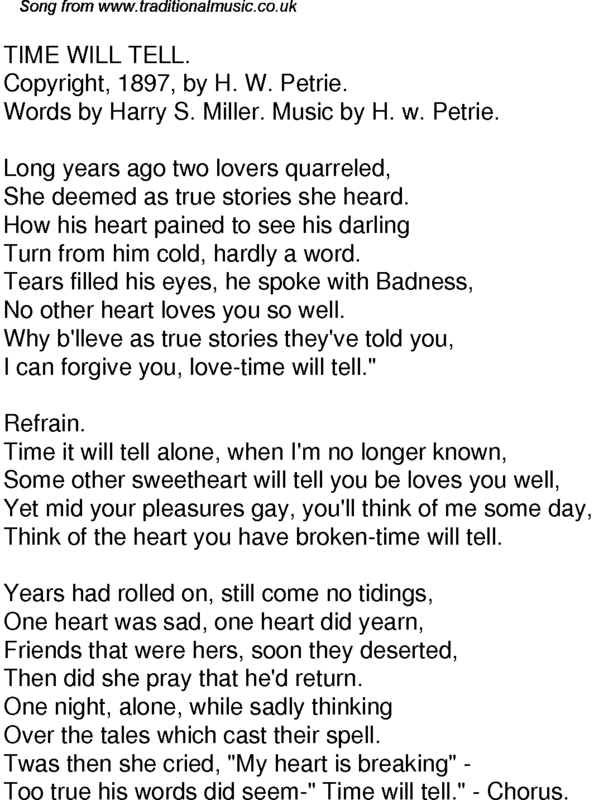 Music by H. w. Petrie. She deemed as true stories she heard. Turn from him cold, hardly a word. No other heart loves you so well. I can forgive you, love-time will tell." Think of the heart you have broken-time will tell. Then did she pray that he'd return. Over the tales which cast their spell. Too true his words did seem-" Time will tell." - Chorus.